I was browsing the book by Arturo Corpuz (The Colonial Iron Horse: Railroads and Regional Development in the Philippines 1875-1935, U.P. Press, 1999) and remembered there was a figure there that illustrated what looked like an ultimate plan for railways north of Manila. 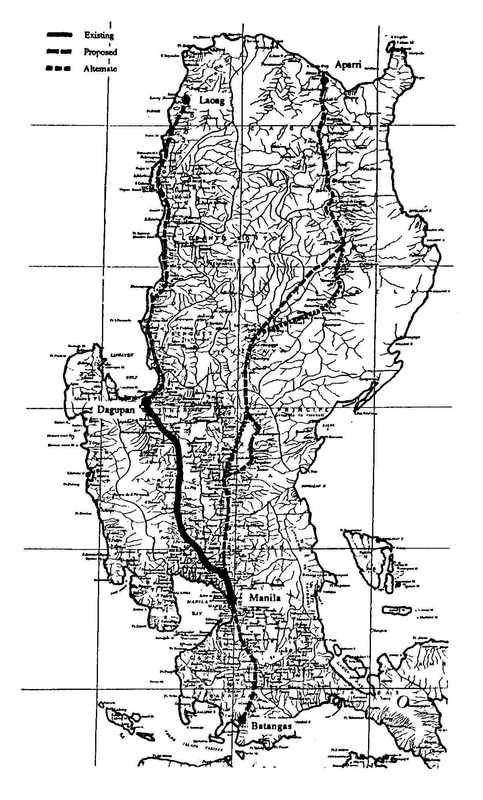 The map, shown below, indicated that what was the Main Line North (MLN) was already planned to be extended all the way to Laoag in Ilocos Norte from the existing station in Dagupan, Pangasinan. The map also shows proposed and alternate plans for a branch of the railways run along the Cagayan Valley and all the way to Aparri, Cagayan. The map along with others from that period reinforce what I have termed as probably one of the biggest “what ifs?” in Philippine transport. If such plans were implemented and we had retained and even upgraded these lines, perhaps inter-provincial or inter-regional passenger and freight flow in Luzon could have been significantly different from what we currently have that is dominated by road transport. A fully developed MLN and MLS could have been game changers in the development of Luzon and the country in general. Long distance travel for both people and goods may not have been dependent on road-based vehicles, and perhaps could have been more affordable for many people before the emergence of air transport and the present’s budget airlines. In fact, a fully developed railway system could give budget airlines and bus companies a run for their money today and perhaps influence tourist transport as well. By d0ctrine in Public Transport, Railways on July 2, 2012 .